When it comes to being fit, are genes or lifestyle — nature or nurture — more important? Researchers at San Francisco State University, CSU Fullerton and Cal Poly, Pomona removed the nature part of the equation by studying a pair of identical 52-year-old twins who had taken radically different fitness paths over three decades. “One of the twins became a truck driver and one started running,” said Assistant Professor of Kinesiology Jimmy Bagley. The runner became an Ironman triathlete and track coach while the other remained relatively sedentary over the last 30 years. The study results, just published in the European Journal of Applied Physiology, demonstrate the impact exercise can have on health over time. Bagley explains that because identical twins share over 99 percent of the same genes, studying them offers a perfect opportunity to gauge the importance of external influences on a person’s health. 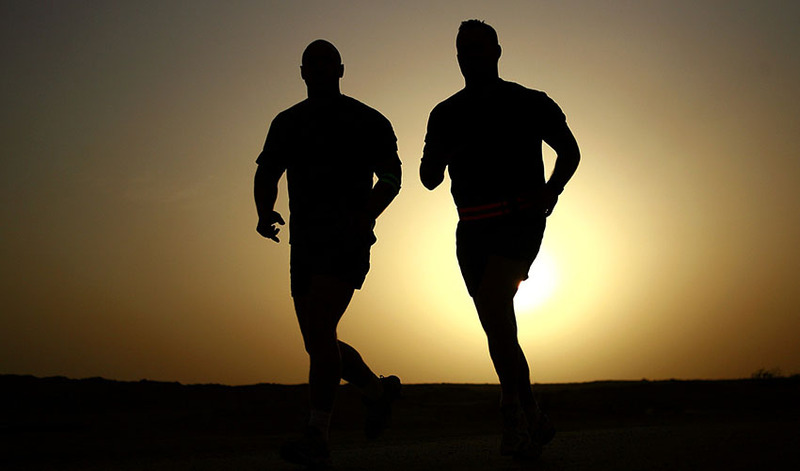 To look at the effects of exercise on these two brothers, Bagley and his colleagues analyzed their physiques, blood profiles, cardiovascular and pulmonary health, skeletal muscle size, strength and power, and molecular markers of muscle health. Not surprisingly, the athletic twin exhibited much better overall health: lower body fat, lower resting heart rate and blood pressure, lower cholesterol, triglycerides and blood sugar, and greater aerobic capacity and endurance. There was one surprise, however. The truck driver had larger, stronger leg muscles. “The untrained twin had been carrying around more weight his whole life, which can build bigger muscles,” said Bagley. Because the athletic twin was a runner, his muscles were leaner and built more to move forward in space — to run. If that twin wanted to build up those muscles, he could add some lower body resistance training, Bagley suggested. But he explains that in the one measurement that tells you the most about a person's overall health — the “VO2 max,” or the maximum rate of oxygen consumption during exercise — the athletic twin came out far ahead. The VO2 max test (in this case done while riding an exercise bike) measures cardiovascular health, pulmonary health and muscle efficiency. The athletic twin’s fitness as measured by the VO2 max test was equal to that of a 30-year old, much better than that of the sedentary twin, who was more typical for his age. The athletic twin also had 55 percent more “slow-twitch” muscle fibers than the truck-driving twin, meaning that he could run for hours without getting fatigued. “He was like a machine,” Bagley said. The researchers plan to monitor the twins every five years. While the twins could end up having the same life span, Bagley thinks that a person’s “health span” — the ability to live longer in good health, independently — may be more important. Not everyone can be an Ironman athlete. But according to Bagley, the study could help researchers learn more about how much exercise you need, and in what “doses.” “It shows your genes aren’t a cop-out,” he said. “If your parents are overweight, for example, it might be harder for you to get fit, but this study shows that it’s not impossible.” As for the lesser-fit twin? He’s started walking a lot more. This study was funded by the San Francisco State University Development of Research & Creativity Fund. Other researchers included Katherine Bathgate, Irene Tobias, Lee Brown, Jared Coburn, Jose Arevalo, Nancy Segal and Andrew Galpin from CSU Fullerton and Edward Jo and Robert Talmadge from Cal Poly, Pomona.